Thinking Of Starting Your Own Firm? Planning a new firm means planning a new business. We can help you develop a strategic business plan to ensure your startup gets started up right! Twenty percent of our current clients originally sought assistance during the initial planning stage of their new firm, and continue to rely upon 4L to keep their firm in good financial shape. 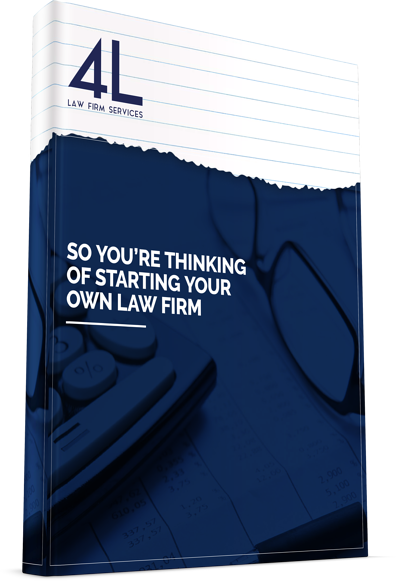 Fill out the form now to download our free whitepaper, So You’re Thinking Of Starting Your Own Law Firm, and discover how 4L can help make your new firm a reality.